Designed for any camera with up to a 1" size sensor. 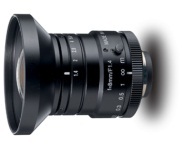 This lens has 120 lp/mm resolution at center and 80 lp/mm in corners. 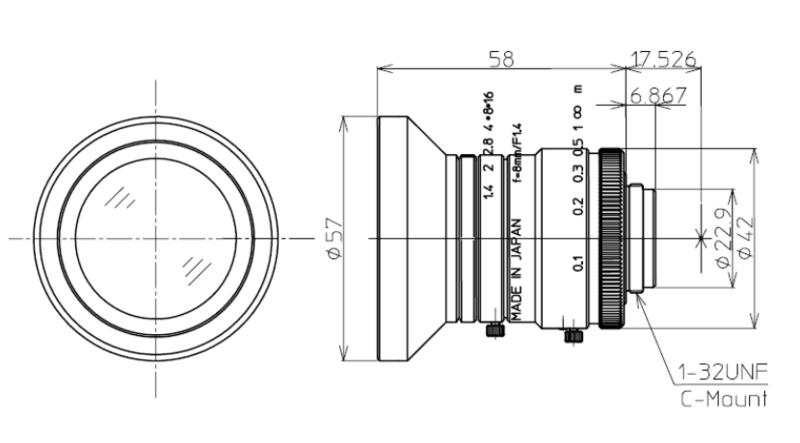 This lens has a compact metal housing. The focus and aperture adjustments lock-down with thumb-screws to resist equipment vibration. This wide-angle lens is appropriate for machine vision applications requiring a large field of view and/or short working distance.